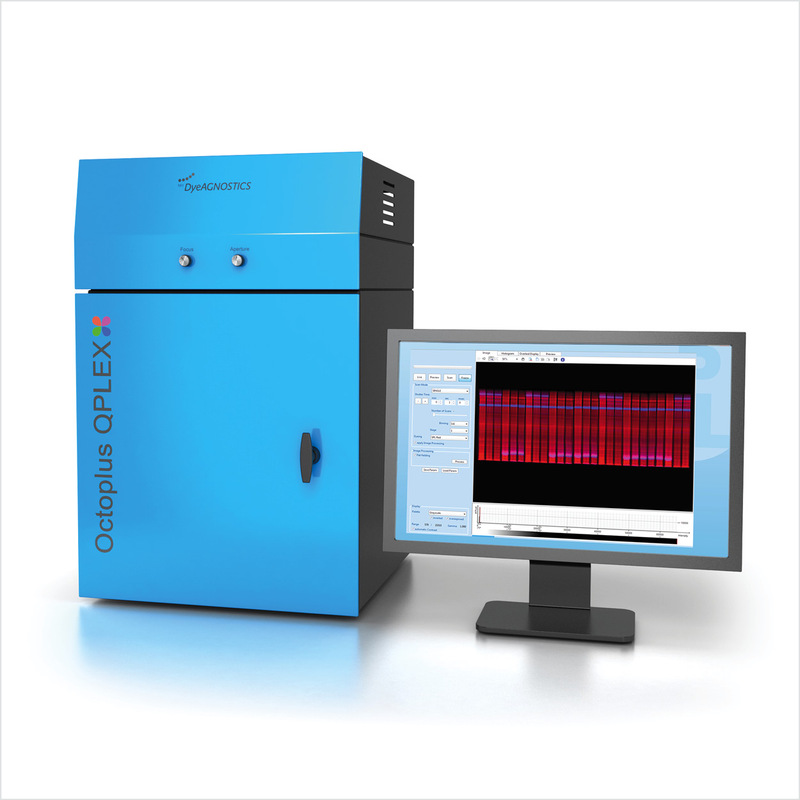 If you are looking for a robust device capable of imaging objects larger than a postcard, high performing blue, green, red and near infrared fluorescence as well as chemiluminescence, than have a closer look on the Octoplus QPLEX. 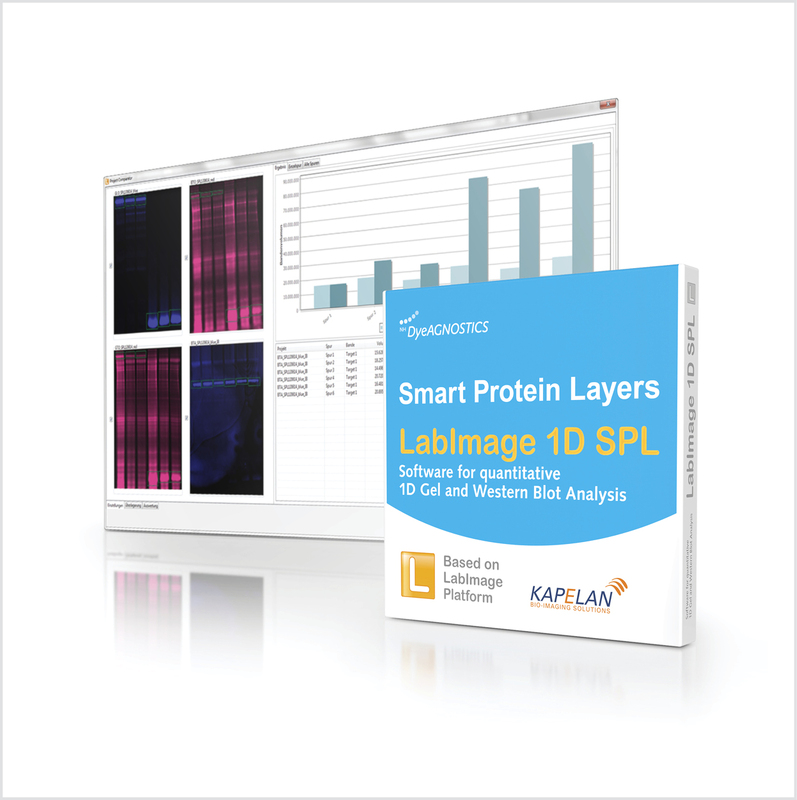 Smart Protein Layers (SPL) is a (patent-pending) standard-based technology for stain-free, quantitative analysis of total protein in protein gels and on Western blots at the point of time when the target is detected. 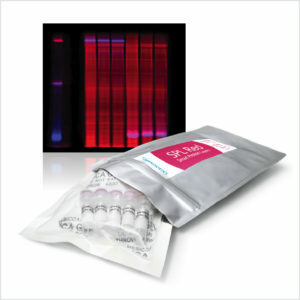 SPL sets a novel standard for fast, reliable and standardized protein expression in gels and on blots. 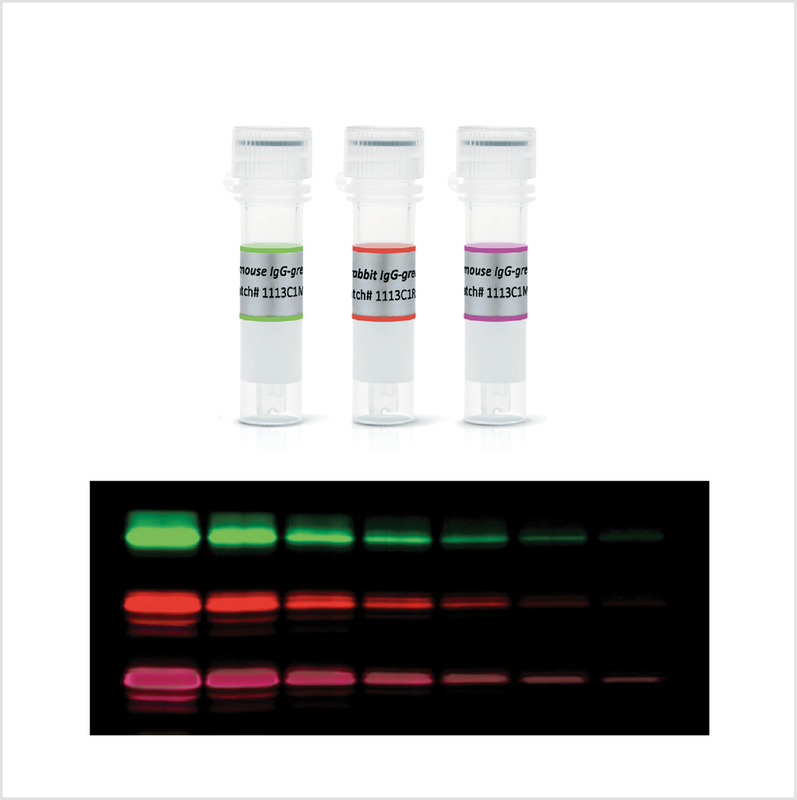 Generally, fluorescent conjugated secondaries are the first choice for target protein detection on Western blots (if the target is not slightly above detection limit, than one must go for ECL). 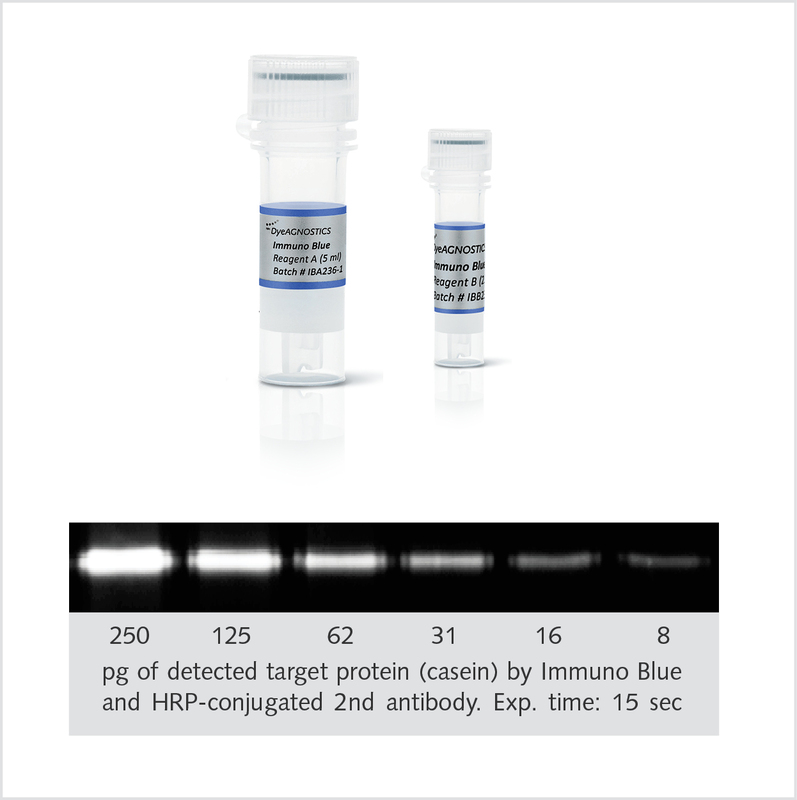 HRP-conjugated 2nd antibodies transform Immuno Blue into a fluorescent compound which precipitates and remains as a stable fluorescent signal on the blot (for several months). The BEO und VELUM Dry Blotter were originally designed for the transfer of proteins from plastic-backing supported precast gels like EXCEL or VELUM gels. However, their easy handling, no need of buffers and the high quality of the blots (e.g. no partial poor transfers results due to air bubbles) made them interesting for every user of blotting devices. 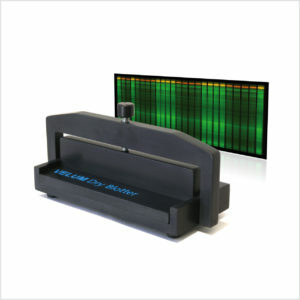 The SPL software allows for rapid analysis of quantitative Western Blots and 1D gels. The total protein and sample standards of the different sample are rapidly detected. Differences in protein content or amount of protein sample applied to the gel are monitored, calibrated and normalized. Target protein expression is automatically normalized to its corresponding sample total protein and sample standard. Western blots are commonly used to detect specific protein expression in a sample such as cell extracts, tissue homogenates or liquids. The extracted total protein of a sample (e.g. cell A and cell B see figure) is separated by gel electrophoresis, transfered (blotted) onto a special membrane and the protein of interest (target) is immunodetected by specific antibodies. The protein is extracted from a sample under denaturing conditions. (Usually) equal amounts of protein of the samples are separated by gel electrophoresis according to the molecular protein size (molecular weight). After the separation, the proteins are transferred to a specific membrane by electro- or capillary blotting. The transferred protein is kept on the membrane surface due to hydrophobic and electrostatic interactions (nitrocellulose membranes) and hydrophobic interactions (PVDF membranes). 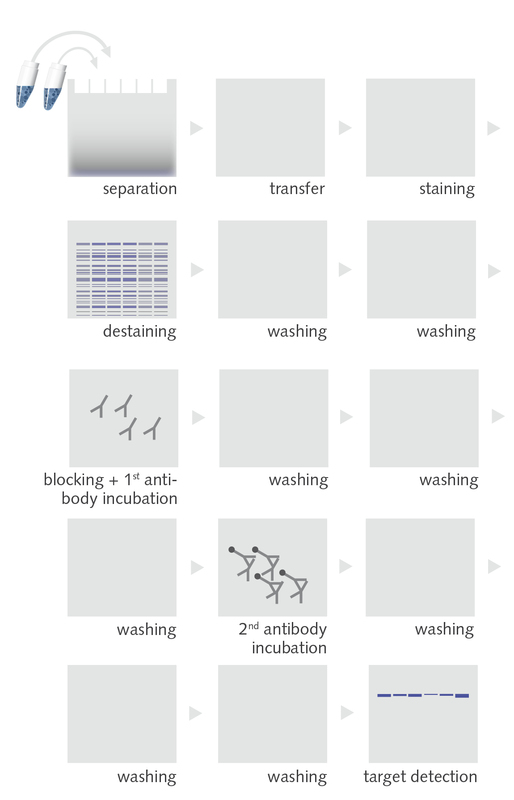 As the interaction of the proteins with the membranes surface is in a non-covalent manner, approximately 30-90 % of the proteins are washed down during the repeated washing and antibody incubation steps. The protein of interest (target) is then immunodetected by a specific antibody. After several washing steps (to remove unbound antibody) approximately 40 second antibodies bind to the Fc region of the first antibody. b) ... with a fluorophore which emits a specific fluorescence light upon adequate excitation. 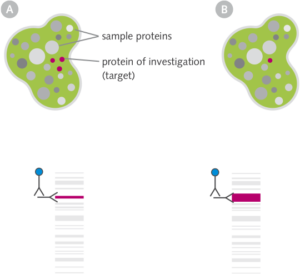 Western Blot protein transfer and subsequent immunochemistry (e.g. washing steps with TBST) lead to inconsistent loss of total protein. The ability and strength of binding of a protein to the membrane is given by its hydrophobicity (PVDF membranes) or charge + hydrophobicity (nitrocellulose membranes). In addition, abrasion of protein occurs also by mechanical forces (e.g. table shaker). Typical losses of proteins are between 10% to 80%. This effect can be sensitively monitored only by pre-labeling the total protein with fluorophores. Figures below show sample protein (E. coli, 20 µg per lane) visualized by using Smart Labels during Western Blot analysis. The membrane imaging was performed using an Octoplus QPLEX imager.